Managing a growing medical practice is a balancing act. Your most essential asset is your own time, and you must choose how to invest it, wisely and often pragmatically. New services do indeed attract new clientele, but this is a process requiring an upfront investment of equipment and training time. We have seen this before and we understand. Botox, as part of a practice and also as an investment, is a worthwhile endeavor. Here’s why. We live in a world where almost anything is possible, but access to services and information is not always simple. Hundreds of thousands of online searches related to Botox Injection services are run past the internet every month. Those who find the services they are seeking usually have the requisite disposable income to invest in their own cosmetic care, as Botox is almost never an insurable treatment. The good news, for both you and your patients, is that Botox is a long-lasting, fast-acting, and minimally invasive procedure – which is why Botox is most desirable anti-aging treatment in the USA. As with most treatments, the application of the treatment is only one part of the process. Our Botox training addresses all elements of the process. You certainly will become adept at administering the injection itself, but you will also be able to explain the benefits of treatment to the patient in question. We also teach you how to generate an enthusiasm for the procedure in your patient, who then wants to share their experience with friends, family and neighbors. Dermal fillers and their administration remain a growing and changing field, so our training also includes all current FDA-approved uses, and the relevant off-label treatments that you might employ, either therapeutically, or for aesthetic reasons. This is so important. Today’s typical modern patient has a lot of questions, and their own “research” may have generated some misunderstandings or confusions that you, as practitioner, must be in a position to correct. Let the buyer beware: there are indeed other Botox injection training courses that will qualify you as an administrator. Our course, however, has the benefit of a certain credibility that you won’t find elsewhere. Our course director, Dr. Howard Katz, is one of the original patent-holders for all Botulinum toxin products. When you complete the course successfully, Dr. Katz himself provides a certificate of completion. And in this case, what’s in a name? Reputation and credibility, as well as carefully curated online course content. If you are processing this information and wondering how you will learn to administer a Botox injection via an ONLINE course, worry not. We are all busy professionals, and this course has been designed for your convenience. Before the course commences, you will be given a kit that includes a foam head. The kit will also have needles and syringes. As the course proceeds, your instructor will show you how precisely to complete each treatment. He or she will carefully demonstrate the placement, angle, and depth of the injection from several different angles, to support the new mental schema you will be developing. You, the learner, simply inject the foam head in the same manner, and submit photos to this effect. We then evaluate how accurate your technique is, providing you with feedback that will confirm you have completed the mock treatment correctly, or conversely, the coaching you require to improve. Once you have satisfied our criteria for accurate technique for all treatments, your certificate will be signed, sealed, and delivered. If you have taken an online course before, you are likely familiar with some elements of the teaching modality. However, this type of format has been tweaked and improved even in the past few years, and we take pride in providing a clear and accessible online training experience. Throughout the course you will be able to observe the instructor in high definition from any computer, tablet, or smartphone with an internet connection. What’s more, you will be able to talk to the instructor in real time. The format is designed to be user-friendly and natural, so that you can focus on the training rather than the web tools we use. That is to say, no special computer expertise is required, here. The procedure, once you sign up for the course, is basic. First, you receive an email with a link to the class. The link takes you where you need to be. As you watch and listen to the instructor, you can type any questions or concerns passing through your mind into the chat box, which will be there on the screen. As for the pictures of your own work that I discussed earlier, you can use a computer camera, or any other digital camera (including your tablet or smartphone) to take pictures of your technique and upload them. Never taken an online course? Still on the fence about internet training? There are a few advantages in this format that you cannot find as easily in a traditional, on-site, class. For example, if you missed something that you want to review, or think something over and want to clarify your understanding, you will have access to all of the recorded lectures and course materials, whenever and wherever it suits you. Return to a lecture and re-watch the technique being performed as needed. And of course, everyone enjoys the convenience and flexibility of no travel time, no travel costs, and no mind-numbing frustrations, like traffic and road work! Online Botox training has been designed with you in mind, and we are here to make sure your experience is positive. Receive AGD continuing education credit. This is a feature not found in most other Botox injection courses. Currently, individual states differ as to who is legally able to administer Botox injections. We anticipate that doctors, nurses, and other healthcare professionals will take this course, but please take the time to determine your own eligibility to administer Botox in your state of practice, before you register for the course. This is each student’s responsibility. Botox training is available online and in-person at a local session. For participants in the online courses, the cost is deducted when you attend the live class. Private consultation is also available at our office. After you sign up for Botox training, you’ll receive a foam head, syringes and needles, as well as all the information on pricing for various Botox related products. You’ll also get information on alternatives, like Juvederm and Restylane. As with all of our training courses, you’re assured a complete professional overview of marketing and best practices relating to your new services. Our goal is to provide a holistic experience that touches on every facet of the business. Complimentary manuals, resource lists and template forms are provided to each participant. 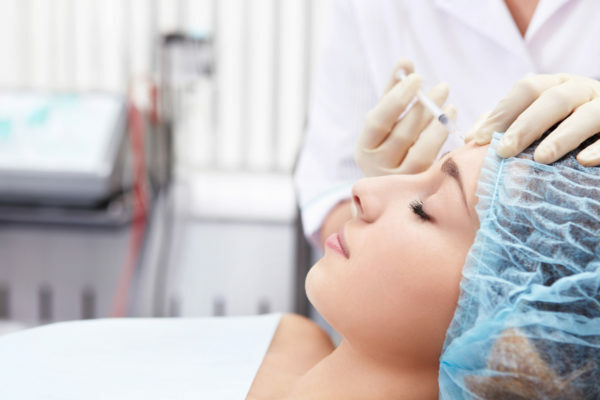 Without any need for recovery time, Botox treatments often take minutes. This makes Botox very easy for patients and providers to schedule. Botox is safe and involves very few potential side-effects, and the results manifest within three to ten days. All course participants earn continuing education credit and an extensive array of knowledge that only a successful and experienced professional like Dr. Katz can provide. We pride ourselves on providing a unique educational experience with a track record of generating a consistently positive impact on the quality and profitability of medical aesthetic practices. Join us!